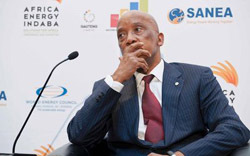 Two months after South Africa’s (SA) President Jacob Zuma appeared to drop Russia in favour of a Chinese-American combination for the country’s $50 billion nuclear reactor programme, the head of the SA National Nuclear Regulator, Bismark Tyobeka, appeared in Moscow last week to be favouring the Russian bid over the competition. There has been no subsequent report in the South African media. Tyobeka continues to travel away from his office. Tyobeka is a nuclear power engineer with advanced degrees from US and Scottish universities. Before his appointment to run the NNR last September, he was head of the gas-cooled reactors unit at the International Atomic Energy Agency (IAEA) in Vienna. South Africa’s National Nuclear Regulator (NNR) was established in 1999 as the successor to the Council for Nuclear Safety. Its powers include “ the protection of persons, property and the environment against nuclear damage through the establishment of safety standards and regulatory practices” and “regulatory control related to safety over the siting, design, construction, operation, manufacture of component parts… and decontamination, decommissioning and closure of nuclear installations.” The statute makes the head of the NNR and the board of directors of the NNR subordinate to the Minister of Energy, who controls both appointments and decision-making. 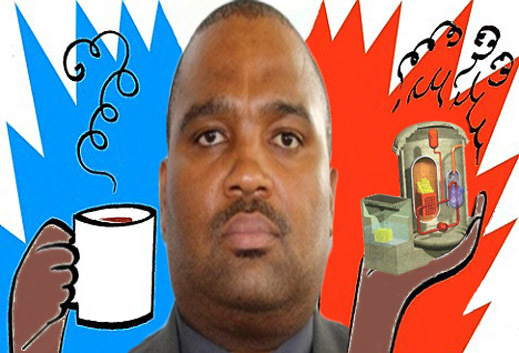 In practice, Tyobeka can recommend, but the Minister of Energy can ignore or overrule him. Zuma’s campaign to protect his second term as president with a majority in the new parliament ended on May 7. The African National Congress, to which Zuma belongs, won a majority of 62%. But on March 4 Martins signed a new deal with the China National Energy Administration. He hasn’t wanted to talk about that. Russian sources say they suspect the US Government agreed to let Westinghouse participate in the Chinese bidding for the SA reactor programme by licensing the reactor design and related technology. Without that, the sources believe the Chinese could not offer the South Africans a well-tested system. A Rosatom source claims the Chinese are offering a “clone” of the Westinghouse reactor technology called AP 1000. The Chinese variant has so far not become fully operational in China, and has never been exported abroad. When Tyobeka said in Moscow last week that the procurement criterion that will govern Minister Martins’ selection should be “sufficient experience of building nuclear power plants abroad”, the hint was that the Chinese do not qualify. On May 25 Zuma dismissed Martins and appointed in his place Tina Joemat-Pettersson. Reportedly much closer to Zuma than Martins, she has been promoted from the Ministry of Forestry, Fisheries and Agriculture. “She has been a regular source of embarrassment to the government,” commented the Mail & Guardian after her appointment was announced. As the energy minister Joemat-Pettersson is not the only SA decision-maker for the reactor programme. Officially in charge is the National Nuclear Executive Coordinating Committee (NNEECC). Since April of last year, this has been chaired by Zuma. He has also reorganized the committee, reducing its membership to himself as chairman, plus the ministers of energy, public enterprises, finance, state security, defence, and international relations. Tybeka’s NNR doesn’t have a seat or a vote on the NNEECC. 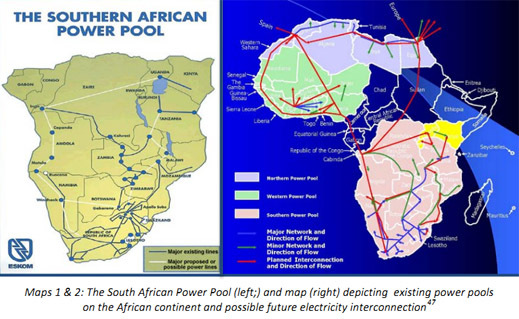 A reinforcing link has also failed between the Rosatom offer and SA Government acceptance. This has been the attempt by Russian steelmaker Evraz to sell its South African subsidiary, Highveld Steel & Vanadium, for $320 million – more than double the market value of the asset. Since Evraz made its deal announcement in March 2013, that story can be followed here. Last week in London, Evraz executives acknowledged they are still trying to find a buyer at a price that can be financed, and repayment guaranteed, by the Russian and SA governments. In an additional comment, Tyobeka drops his earlier claim that the Chinese bid, which Martins endorsed in March, is independent of the US. For Rosatom, Bochkov was asked how Tyobeka’s remarks were interpreted, and whether Rosatom believes it is still in the running. He refused to reply.